Universal support for devices capable of charging via USB port. 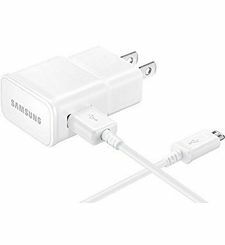 Additionally, the wired Fast Charge feature is compatible with Galaxy Note 4, Galaxy Note Edge, Galaxy S6, Galaxy S6 active, Galaxy S6 edge, Galaxy S6 Edge, Galaxy Note5, Galaxy S7 Edge, Galaxy S7, Galaxy S8 and S8+. This also supports fast charging for any fast charging enabled phone. The latest Samsung flagship smartphones since the Galaxy Note 4 launch are compatible with Fast Charge technology. For now, this list includes Galaxy Note 4, Galaxy Note Edge, Galaxy S6, Galaxy S6 active, Galaxy S6 edge, Galaxy S6 edge,Galaxy Note5,Galaxy S7 Edge, Galaxy S7, Galaxy S8 and S8+. Other devices will charge at up to a standard 2A speed. SAMSUNG FAST BATTERY PACK 5200MAH Compatibility: Universal support for devices capable of charging via USB port. 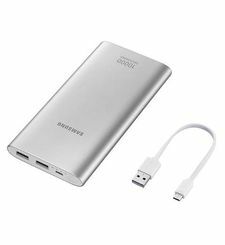 Additionally, the wired Fast Charge feature is compatible with Galaxy Note 4, Galaxy Note Edge, Galaxy S6, Galaxy S6 active, Galaxy S6 edge, Galaxy S6 Edge, Galaxy Note5, Galaxy S7 Edge, Galaxy S7, Galaxy S8 and S8+. 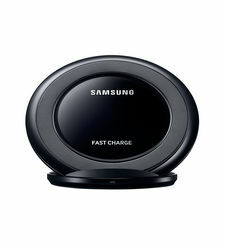 This also supports fast charging for any fast charging enabled phone.Take Samsung Fast Charge technology on the go with the new 5200mAh Fast Charge Battery Pack. 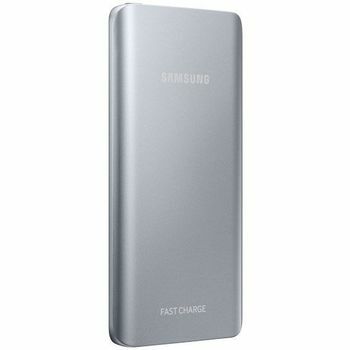 Available in gold or silver, this battery pack allows you to charge your Fast Charge-compatible Samsung device from 0 to 50% in 30 minutes*. However, with a universal USB port output, you can charge other smartphones, tablets or other electronics capable of charging via USB. 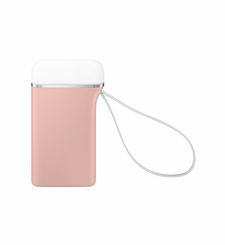 The battery pack’s 5200mAh capacity can be recharged over and over. 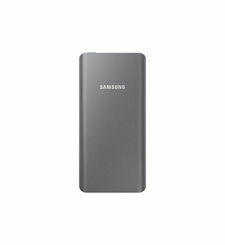 When fully powered, the battery pack holds enough juice to charge most of the latest smartphones up to at least 1 ½ times*Wired Fast Charge SupportThe latest Samsung flagship smartphones since the Galaxy Note 4 launch are compatible with Fast Charge technology. For now, this list includes Galaxy Note 4, Galaxy Note Edge, Galaxy S6, Galaxy S6 active, Galaxy S6 edge, Galaxy S6 edge,Galaxy Note5,Galaxy S7 Edge, Galaxy S7, Galaxy S8 and S8+. Other devices will charge at up to a standard 2A speed. Pass Through ChargingCharge the battery pack and a device connected to the battery pack overnight with pass-through charging. 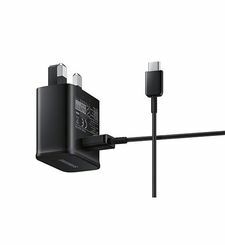 When a device is attached to the battery pack and the battery pack is being charged from a power outlet, the device will be charged to 100% first and then the battery pack will begin to charge.Easy to UseTo begin charging, plug in a USB charging cable like the included USB to Micro USB charging cable to the USB output port (larger rectangular port) on the battery pack and connect the opposite end of your charging cable (whether Micro USB or other) to your smartphone, tablet or other electronic device. Your device will immediately begin to charge. 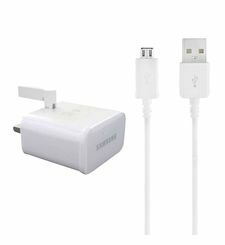 For recharging the battery pack itself, plug a Micro USB charger into the Micro USB port of the battery pack.Safe ChargingOfficial Samsung lithium ion batteries are built-in to ensure an optimal charging experience for a range of Samsung or non-Samsung devices. *Testing under laboratory conditions. Results may vary. Battery power consumption depends on factors such as network configuration, signal strength, operating temperature, features selected, vibrate mode, backlight settings, browser use, frequency of calls and voice, data and other applications usage patterns. ** Wired Fast Charge is compatible with the Samsung Galaxy S6, Galaxy Note 4 and later models of the Galaxy S and Galaxy Note series. Will charge other devices at up to 2A charging speed.